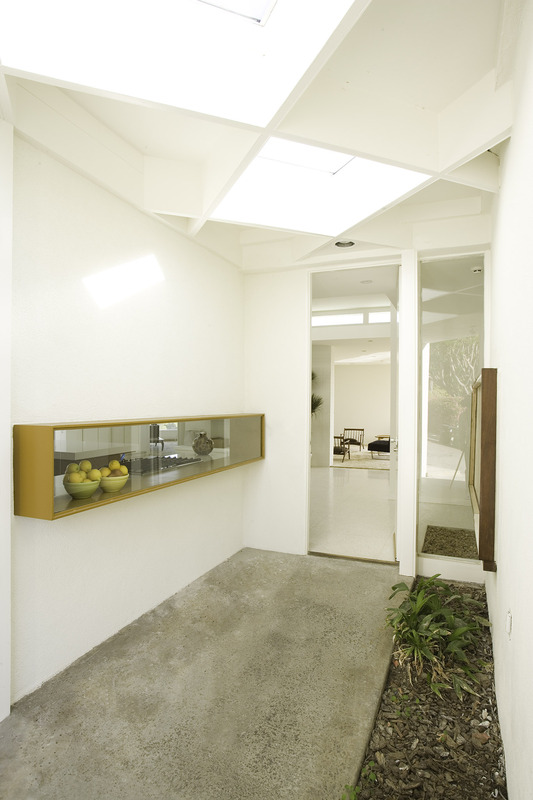 Situated in the hills of Bel Air, California, the Casiano Residence ­­– originally designed by Hal Levitt – was an example of 1960s Modernism that hadn’t been touched since it was built. 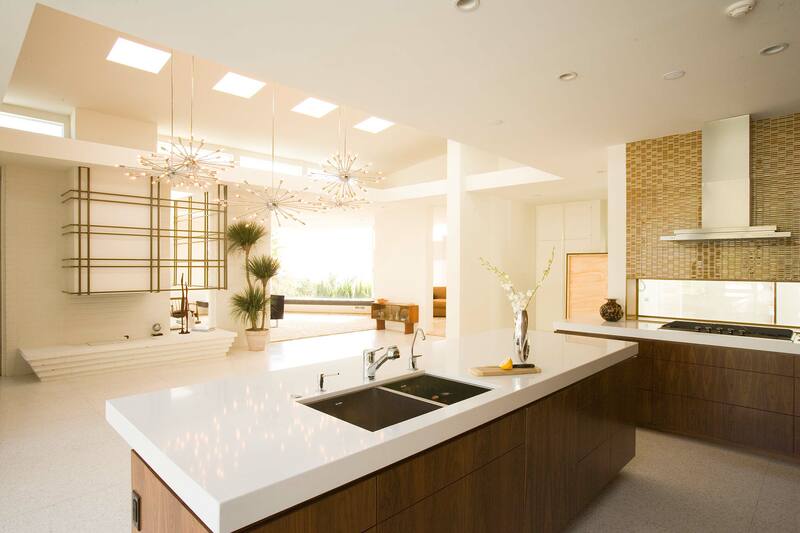 The project entailed unifying the kitchen and living areas as well as adding an adjacent family room and guest suite, expanding the open floor plan to support clients’ indoor-outdoor lifestyle and capitalize on the views. To establish a fluid connection between the kitchen the living room, the existing fireplace wall was removed and replaced with an L-shaped span of built-ins. 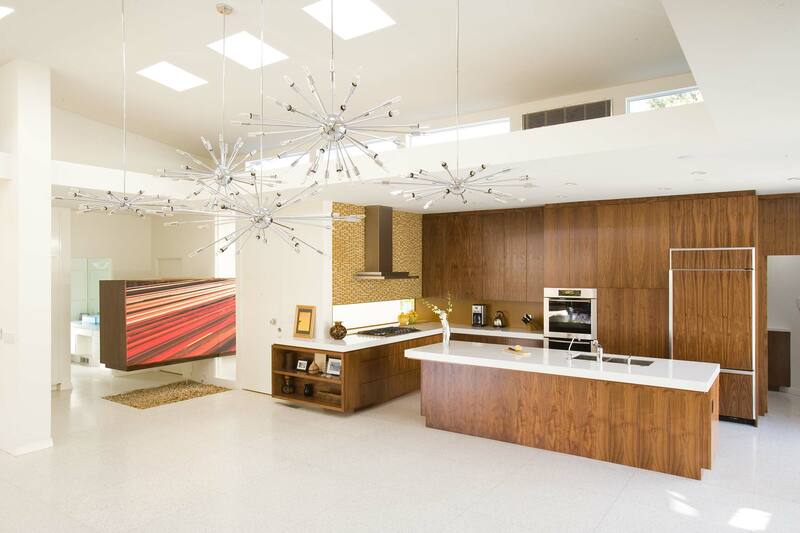 Within the new kitchen, a low datum line reinforces the airy expansiveness. 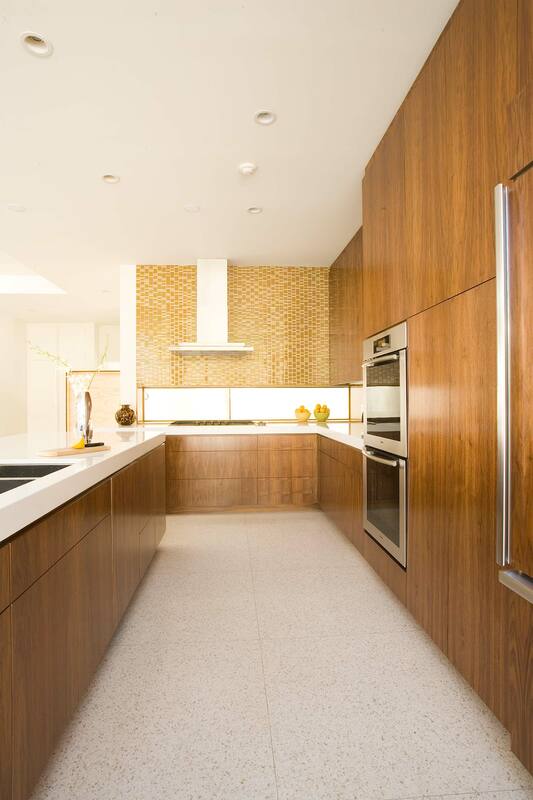 The rich quietly grained walnut re-emphasizes the original design palette with poured terrazzo flooring and thick quartz-composite countertops in creamy hues.